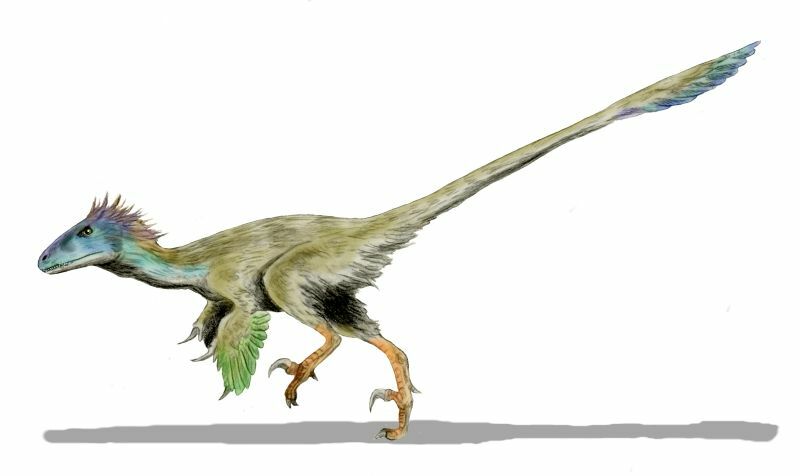 Anchiornis is a small genus of feathered dinosaurs, troodontid. Type species of this genus Anchiornis Anchiornis huxleyi, named in honor of Thomas Henry Huxley, an early supporter of evolutionary biology, and the first to propose ideas for a close evolutionary relationship between birds and dinosaurs. Anchiornis generic name means "Near Bird". 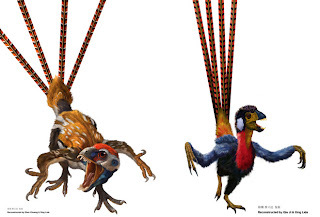 Anchiornis, small dinosaurs with the same triangular skull with other troodontids. 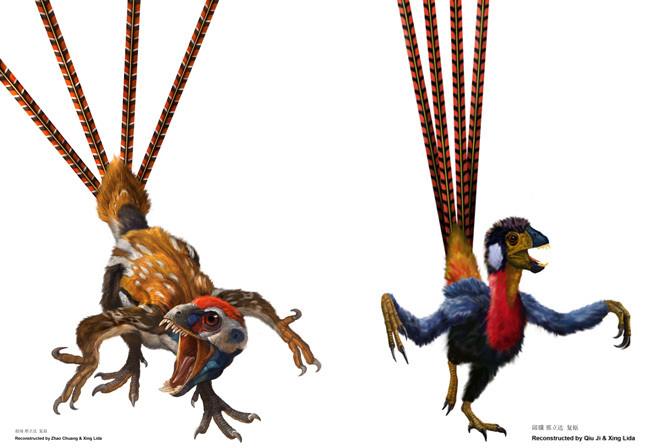 Also like other troodontids, Anchiornis have very long legs, and this indicates that this animal is a strong runner. 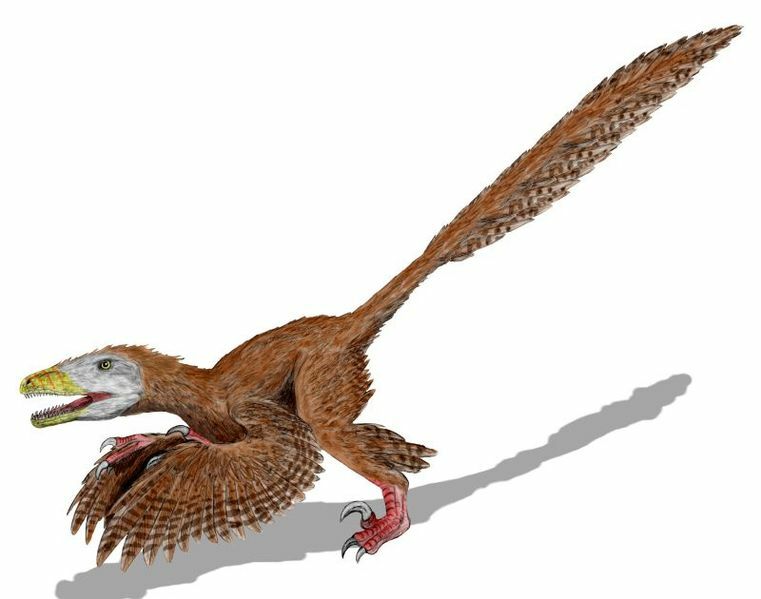 Anchiornis forelimbs also have very long legs and is unusual among other troodontids the legs tend to be short and serve as a weapon. 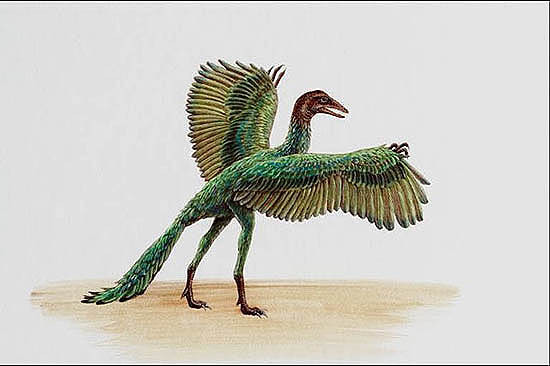 As early as Microraptor paravians, Anchiornis have great wings, made of feathers attached to the fur pennaceous arms and hands as well as in modern birds to fly on hind legs, forming the composition of the front and rear wings. The forewing of Anchiornis fur consists of 11 primary and 10 secondary feathers. 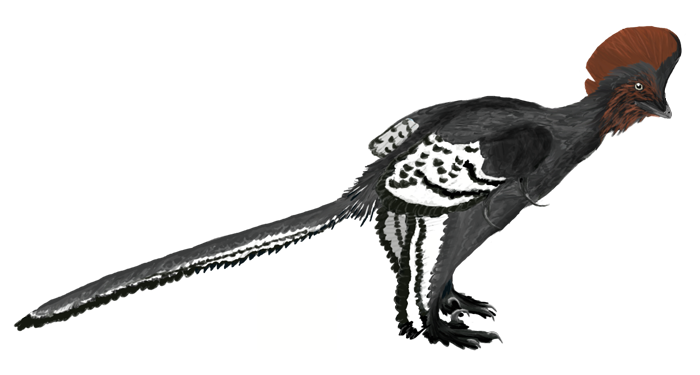 Unlike Microraptor, the primary feathers in Anchiornis forming a more rounded wings, propellers with curved center but symmetrical, relatively small size, thin, and round. In Microraptor and Archaeopteryx, the longest feathers forewing closest to the wing tip, making the wings appear long, narrow, and pointed. 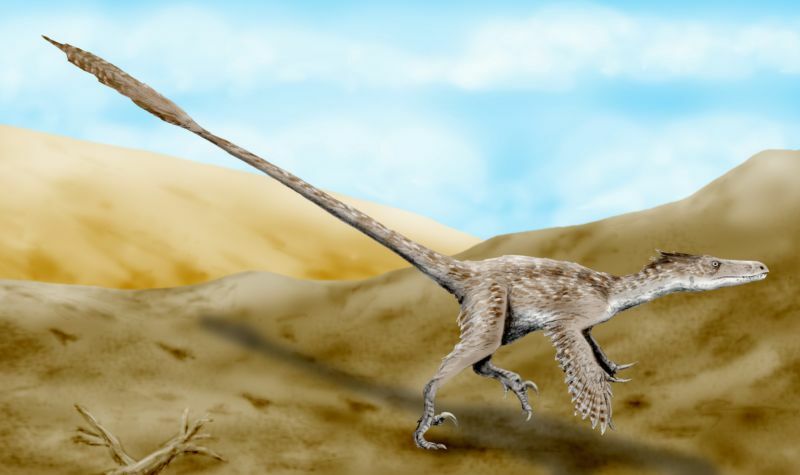 However, in Anchiornis, the longest wing feathers found near the wrist, making broad wings in the center and near the pointed tip to become more rounded.